Our NCR docket books are a useful product to keep your business organised and productive. 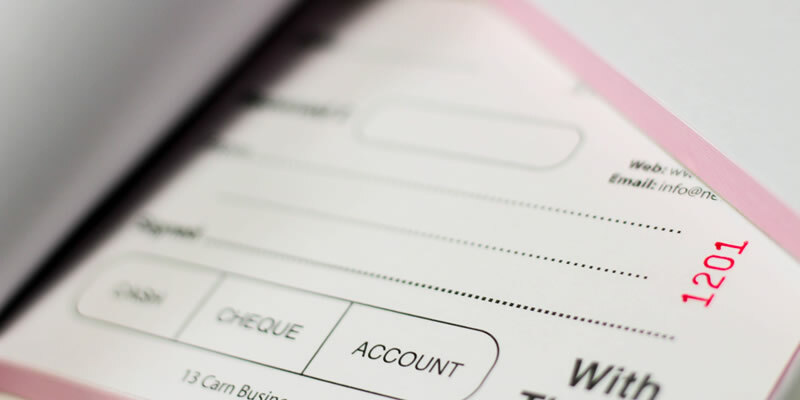 Whether it's for sales, deliveries, invoices or receipts, NCR docket books will help to keep everything in order. The double or triple layered sheets allow you to duplicate or triplicate the information written on the top sheet to provide copies for your customers or other team members. The fields, design and layout of your forms are fully customisable and our team of in house graphic designers will provide you with a bespoke product to meet all your needs. Your company logo and details can be added to personalise your document and strengthen your brand identity. NCR stands for no carbon required. These books remove the need for carbon paper between sheets as the paper is chemically treat to allow for the easy transfer of writing between copies. Our NCR dockets books will help to simplify your record keeping and share information easily. Complement your printed docket books with our printed letterheads and stationery range.